On foreign policy, both candidates are bad, but Clinton may be worse. We can't keep supporting militarism out of fear. 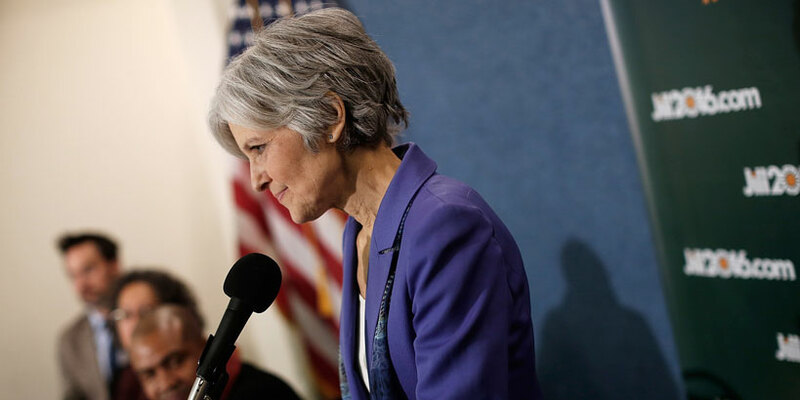 Jill Stein, the Green Party nominee for president, wants your support. 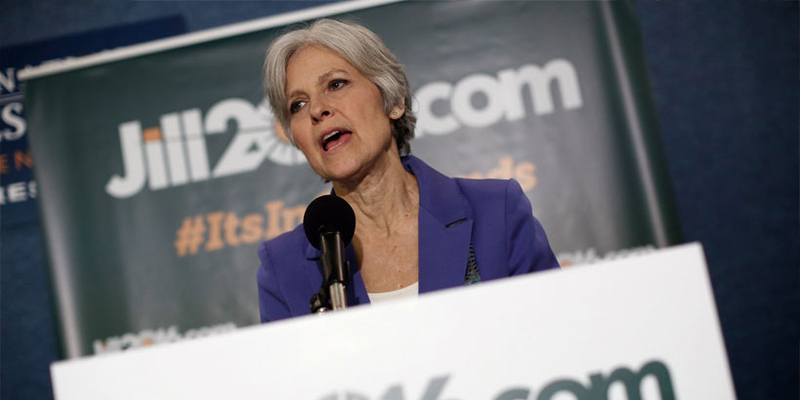 Her platform seeks to move “from the greed and exploitation of corporate capitalism to a human-centered economy that puts people, planet and peace over profit.” Author and professor Cornel West has endorsed Stein, calling her “a major force for good.” If Stein can get to 15 percent in the polls, she will get into future debates and could pose a real threat to the two major parties’ remarkably unpopular nominees. Progressives are told it’s too risky to support a third party candidate because that might clear a path for Trump. I reject the idea that, out of that fear, we must support a Democratic Party that has sold out the interests of working people in favor of its corporate funders. If we allow corporate Democrats to control us by fear, we only enable further betrayals. 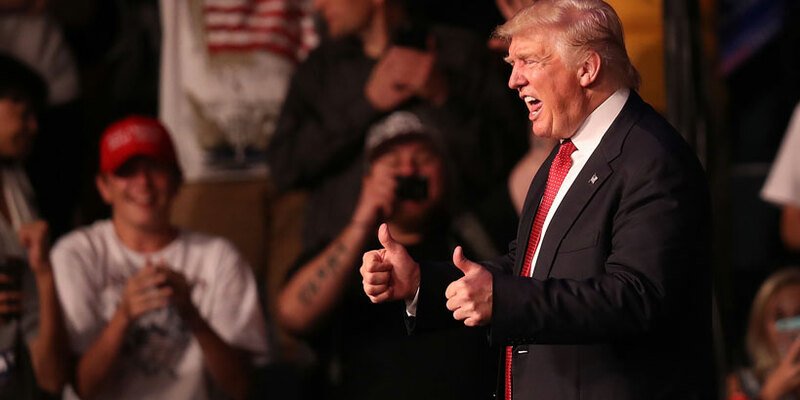 There are plenty of ways a Trump presidency could prove a disaster. But as someone who has been horrified by U.S. foreign policy under both Republican and Democratic administrations, I am not convinced a President Clinton would be any better. As the New York Times reported in 2014, neoconservatives are backing Clinton “in a bid to return to the driver’s seat of American foreign policy.” Clinton has a solid allegiance to the Endless War Doctrine that has driven foreign policy since 9/11. 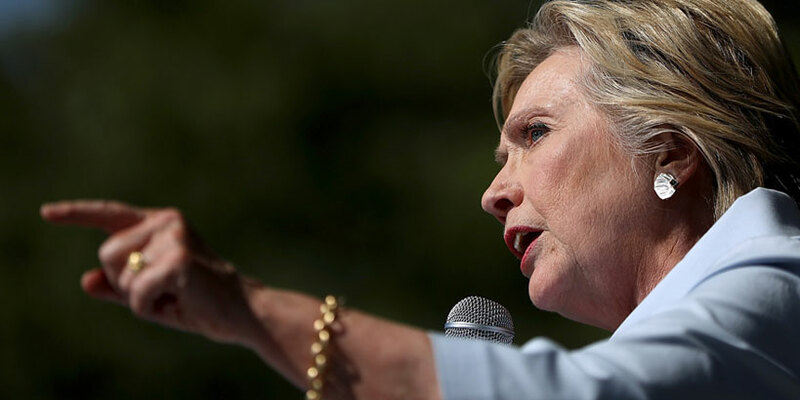 As a senator, Clinton was an outspoken supporter of the Iraq War and opposed restrictions on cluster bombs. As secretary of state—our nation’s chief diplomat—Clinton championed military solutions over diplomacy, including escalating the war in Afghanistan, regime change in Libya and arming Syrian rebels with weapons now in the hands of ISIS. Of course, Trump made those remarks before his campaign began relying on the backing of the GOP, which—like the Democratic Party—is deep in the pocket of the defense industry. Trump is now calling for increased defense spending of $500 billion over 10 years, along with a stepped-up bombing campaign. On trade, however, Trump is more progressive than Clinton, who has repeatedly supported trade agreements like NAFTA that protect corporate profits over workers’ rights and the environment, and whose surrogates rejected a platform plank that opposed the Trans-Pacific Partnership. Trump at least pledges to reject trade agreements that hurt U.S. workers. If you care about peace between Israel and Palestine, you should know that Clinton promises a complete embrace of Netanyahu and his right-wing government. 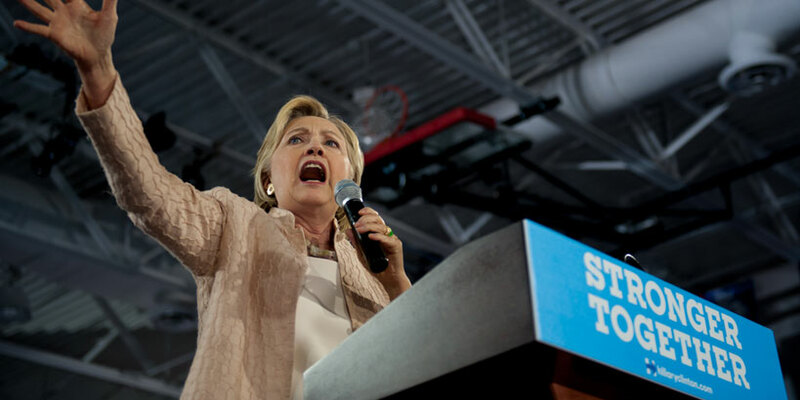 Her surrogates rejected a platform plank calling for an “end to occupation.” Clinton has slammed Trump for daring to suggest that, as the broker of peace negotiations, the U.S. ought to be neutral. However, if Trump accepts the $5 million reportedly offered by Republican mega-donor Sheldon Adelson, he may be to the right of Clinton on Israel by the time he is sworn in. And the uproar over Trump’s most odious proposal—to ban Muslims from entering the United States—contrasts with the remarkable silence about the far more horrific reality under Clinton/Obama, which has been to assassinate Muslims who frighten us (including U.S. citizens), often by mechanized drone, based on secret evidence and without any judicial process or meaningful oversight. If you are concerned about a person with Trump’s vindictive and unstable temperament presiding over a fleet of missile-armed drones and other high-tech weapons, remember that it was President Obama, a Democrat, who has overseen a drone assassination spree based on a White House “kill list” of targets chosen in what are called "terror Tuesday" meetings, despite the fact that government-planned assassinations were officially banned in 1976. It would be far better, I suggest, to support a candidate, like Stein, who would do away with this dangerous and destructive policy rather than scrambling every four years to elect a president who is not completely insane. Further, if Trump’s despicable proposals about immigrants are based on ignorance rather than outright racism, there might be some hope for a change in policy. Ignorant people can sometimes be enlightened, while people who are bought and paid for tend to stay that way. And if we take Trump at his word to “figure out what is going on” (a dubious proposition to be sure), he will quickly learn what the Pentagon has known since at least 2004, that Muslims do not “hate our freedom,” they hate our policies: our drones, our interventions in the Muslim world, our support for Islamic tyrannies in places like Egypt and Saudi Arabia, and our occupation of Iraq and Afghanistan. As for the appointment of judges, we know little about Trump’s philosophy except that he does not appear to bow to the wishes of ideological conservatives. Clinton, on the other hand, will select judges acceptable to her corporate backers, which means corporate lawyers and federal prosecutors. Lawyers who fight injustice on behalf of poor people—like my dream nominee, Bryan Stevenson, executive director of the Equal Justice Initiative in Montgomery, Ala., and lawyer for dozens on death row in the South—need not apply. I fully agree that Trump’s ignorant, racist, sexist and xenophobic rhetoric should disqualify him from the presidency. But this should not require us to get behind a candidate whose rhetoric may sound progressive but whose policies are anything but. Remember that candidate Obama pledged to work toward a nuclear-free world while President Obama is now presiding over a trillion dollar modernization of that very arsenal. Candidate Obama pledged to get us out of wars in the greater Middle East while President Obama has, during the past month alone, dropped bombs on, or fired missiles at, at least six largely Islamic countries: Iraq, Syria, Afghanistan, Libya, Yemen, and Somalia. People are right to be concerned about Trump’s climate change denial, embrace of torture, authoritarian rhetoric and despicable scapegoating of immigrants. But remember that the Democratic Party’s betrayal of working Americans, which began in earnest under President Bill Clinton, caused them to turn to someone like Trump. And if we settle for another four years of empty rhetoric about hope and change, coupled with policies that serve corporate backers, we will end up with an anti-establishment Republican even scarier in 2020. So don’t be afraid to vote Green, even if you live in a swing state. Leonard C. Goodman Leonard Goodman is a Chicago criminal defense lawyer and Adjunct Professor of Law at DePaul University.